Attention Guests- our property will be undergoing renovations beginning August 7 and will last until November 30. We appreciate your patience as we enhance our hotel for your future enjoyment. 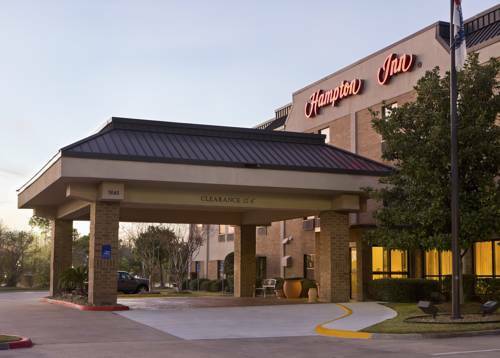 The Hampton Inn Houston-Willowbrook Mall hotel is conveniently located in the Willowbrook Mall shopping center in northwest Houston Texas. The hotel is within walking distance to the Willowbrook Mall home to over 160 different shops and over 10 nationally known restaurants such as Olive Garden. Chili*s BJ*s Pizza Macaroni Grill and Bennigan*s. The Hampton Inn Houston-Willowbrook Mall hotel features 75 beautifully appointed rooms both smoking and non-smoking with rooms available for the differently abled. The Willowbrook Mall Hampton Inn hotel also boasts high-speed internet access and an indoor pool and spa complimentary local calls express check out and a fax and copy service for our guests. Guests of this Houston Texas Hampton Inn Willowbrook Mall hotel will also enjoy the complimentary On the House hot breakfast and the On the Run breakfast bags /available Monday-Friday/. Wrap up your day with a visit to Sam*s Boat located next door to the hotel. We love having you here at the Hampton Inn Houston-Willowbrook Mall hotel in Houston Texas. all reservations must be guaranteed with a major credit card or advance cash deposit to hotel regardless of time of arrival. all reservations must be cancelled by 11:49pm host time unless deposit required. - Citation Oil and Gas Corp.